Fans have been waiting for sometime now for Kelly Rowland to release a new album follow-up since Talk A Good Game. With 2017 still in it's beginning stage she is preparing to make this year count & has already given it a great start with her role in the Lifetime movie Love By The 10th Date. She recently sat down for a chat with Essence Live & revealed that she plans to release a book in March called Whoa Baby. 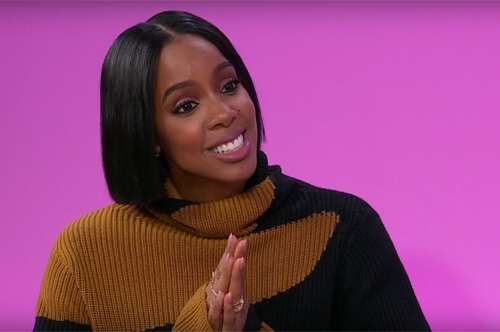 During the intimate interview the brown boned beauty even gave some details on her plans for June's Diary who she helped to discovery on the BET show Chasing Destiny. One of the biggest highlights of the chat was when she was quizzed on her feelings about a possibly Destiny's Child biopic.